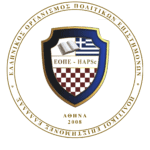 The offices that HAPSc maintains abroad are continuously growing departments of the Association outside of Greece. To date, he has three key representation units. One in the United States. And two in Europe. In addition, it develops centers of activity in those countries that are existed members of it. The main constitutional function of the Association’s offices in New York, Geneva and Vienna is the representation of the HAPSc and the Greek Civil Society at the UN. In 2015, HAPSc’s New York Office was established in the US by decision of the President. It is managed by Mr. Bakalis Ioannis and Mr. Metekides Ioannis. It operates in order to meet the needs and obligations of the Association to the UN in relation to the Special Consultative Status acquired by HAPSc in the Economic and Social Council (UN ECOSOC). 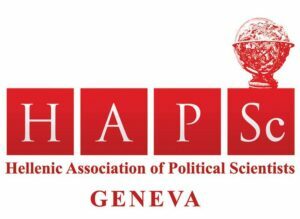 In 2016, by the decision of the President of HAPSc, Geneva Office in Switzerland was set up. It is run by Ms. Aphrodite Anastasaki with its assistant Ms. Timoklia Koussi. It operates in order to meet the needs and obligations of the Association to the UN in relation to the Special Consultative Status acquired by the HAPSc at the Economic and Social Council (UN ECOSOC).